In its complexity, the respiratory system is both a source of inspiration and frustration to those who explore fundamental questions that surround it at the cellular level. But the challenge can become addicting, as has been the case for Thomas J. Mariani, PhD, whose primary research focus is pediatric molecular biology and genomics. At the University of Rochester, Dr. Mariani is director of the Pediatric Molecular and Personalized Medicine Program and co-director of the Pediatric Translational Biospecimen Laboratory. Through his lab, Dr. Mariani and his team apply genomics methods and state-of-the-art genetic modeling in animals to identify the mechanisms of susceptibility to chronic lung diseases. They focus particularly on developmental antecedents and the influence of environmental factors, and they work to define key regulatory networks contributing to lung development and maturation and that may be perturbed in diseased states such as asthma, COPD, and bronchopulmonary dysplasia. Dr. Mariani, along with Gloria Pryhuber, MD, and Rita Ryan, MD, is a principal investigator of the multi-center Prematurity and Respiratory Outcomes Program (PROP), funded by the National Heart, Lung, and Blood Institute. These studies aim to identify functional and gene expression biomarkers for symptomatic respiratory disease in peripheral blood lymphocytes of premature babies. Derivative of the PROP study is a project entitled “Genetic Variants and Bronchopulmonary Dysplasia in Premature Infants,” Dr. Mariani leads along with Aaron Hamvas, MD, division head of neonatology at Ann & Robert H. Lurie Children’s Hospital of Chicago. This project has used the NHLBI-dedicated resequencing and genotyping service to generate whole exome sequence data on 200 premature subjects. The data are being used to identify genetic variants associated with respiratory diseases following prematurity. Dr. Mariani has served as co-author of the studies “Genome-wide Transcriptional Profiling Reveals Connective Tissue Mast Cell Accumulation in Bronchopulmonary Dysplasia,” “Transcriptomic Analysis of Human Lung Development” and “Fibroblast Growth Factor Receptors Control Epithelial–Mesenchymal Interactions Necessary for Alveolar Elastogenesis,” published in the American Journal of Respiratory and Critical Care Medicine. “Tom has made since significant discoveries, but his main impact has been in pioneering these approaches to lung development as both an aim and, more importantly, an aim to better understand and eventually treat advanced lung disease,” says Dr. Mariani’s close colleague Naftali Kaminski, MD, chair of the ATS Assembly on Respiratory Cell and Molecular Biology. Dr. Mariani earned both his bachelor’s and doctorate degrees in molecular biology at Rutgers University, and completed postdocs in extracellular matrix biology with Richard A. Pierce, PhD, and in cellular and molecular biology under William A. Frazier, PhD, at Washington University School of Medicine in Saint Louis, MO. His interest in medicine and the understanding of human disease stretches back further than he can remember. “I have many outstanding colleagues whose passion lies in the basic, most elemental aspects of biology: ‘How does the cell membrane form? How do mitochondria function?’ My passion has always been to define how these processes are related to human disease,” Dr. Mariani says. 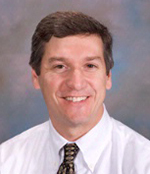 An ATS member since 1993, Dr. Mariani serves on the editorial board of the AJRCCM, is a member of the ATS Finance and Planning Committees, and contributed to the International Conference as chair of the RCMB Program Committee. He’s also served on a number of grant and scientific review committees at the NIH, Thrasher Foundation, and March of Dimes Foundation. An avid Red Sox fan outside of the lab, Dr. Mariani shares his other addiction—baseball—with his wife and two sons, as the family shuttles to competitive youth games up and down the East Coast.